Ice cream and coffee together. 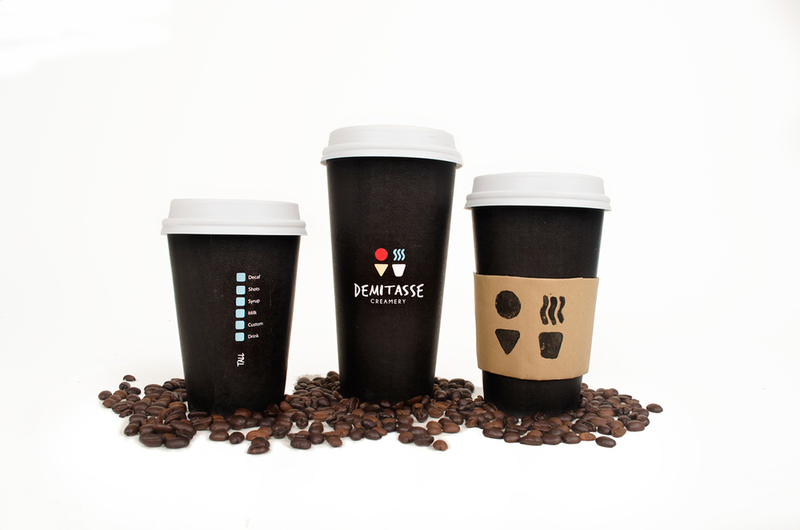 Demitasse Creamery is a fictional Coffee and Ice Cream shop. It is a place to gather with family and friends to catch up or a place to host a casual meeting with a colleague over some delicious coffee. 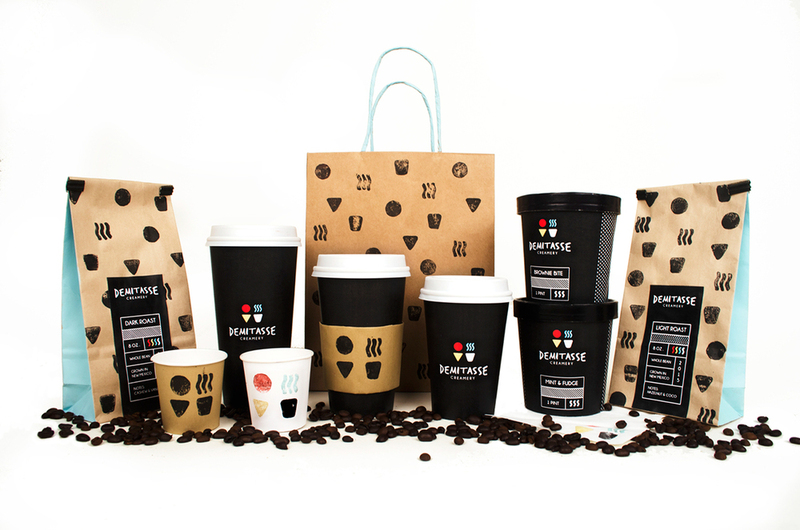 They are an upbeat place that wanted their packaging to reflect their fun and unique personality.